Yesterday marked the first anniversary of the worst calamity to befall Japan since World War II and the most powerful earthquake in the country's recorded history. A year after the devastating twin disaster of the March 11 Tohoku Earthquake and subsequent tsunami, the full scale of the disaster is still being determined. A March 10, 2012 national police report confirmed 15,854 deaths, 9,677 injuries and 3,155 missing persons across eighteen prefectures in an earquake so powerful that it is estimated to have moved Japan's main island of Honshu a full 2.4 meters east and shifted the Earth on its axis by an estimated 10 and 25 centimeters. While the earthquake and tsunami wreaked destruction of epic proportions, the most talked about story of the calamity was not the natural disaster itself but the nuclear accidents it caused, most notably the ongoing level 7 meltdowns at three reactors in the Fukushima Daiichi nuclear complex. While the year following the disaster has seen remarkable progress in rebuilding some of the municipalities ravaged by the quake and tsunami, the Fukushima crisis, the worst nuclear accident since the 1986 Chernobyl disaster - remains very much an open wound, the magnitude of which will probably not be fully ascertained for years - if not decades - to come. As with any major disaster, there were many sub-plots in this one. As a professional communicator (and one with a longstanding connection to Japan), the most compelling aspect of this unfolding drama was the communications story. As with any major disaster, how effectively a a country or region deals with the forces of nature gone wild is primarily a measure of pre-disaster planning and post-disaster communication. And on both of these fronts, the Tohoku Earthquake and Tsunami story represented both resounding success and abject failure. It was a story of one cause and two disasters - one that was handled remarkably well and another astoundingly badly. The Tohoku tsunami and the Fukushima meltdown may have stemmed from a common cause, but once the wave hit the northeastern coast of Japan, the two became very much separate disasters. Moreover, the way in which these two disasters were handled by the respective authorities speaks volumes to the strengths and weaknesses of crisis communications - and of communication as a whole - in this highly disaster-prone country. Japan's historical track record for crisis communication is shaky at best. Numerous political and social factors have contributed in the past to slow and ineffective post-disaster communications, including a bureaucratic and cloistered political culture prone to factionalism and infighting, a group-oriented culture wherein tremendous emphasis is placed on consensus-building (resulting in slow decision making) and a high premium placed on 'face-saving' and maintaining surface calm best encapsulated by the Japanese terms tatemae (建前) meaning 'outwardly agreed-upon 'truths'' and honne (本音), that which we know to be true but keep to ourselves. Even the Japanese language itself is fraught with ambiguity, a factor that may even have triggered the dropping of the A-bomb on Hiroshima, as I address in my December 11 post. This plus a longstanding reluctance to involve outsiders in Japan's domestic disasters has led to some notably egregious crisis management failures. 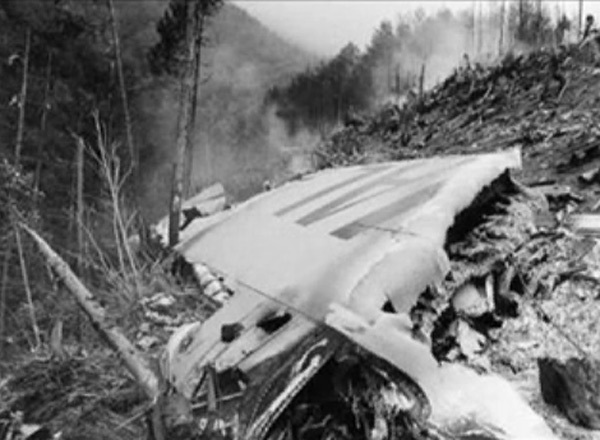 One of the worst in recent history was the 1985 crash of Japan Airlines Flight 123. For those who don't remember this disaster, a Boeing 747 on a holiday weekend short-haul flight from Tokyo to Osaka broke apart shortly after takeoff and crashed in the mountains west of Tokyo. While the cause of the accident was ultimately determined to be an improper repair by a Boeing technician, the situation was exacerbated by a botched rescue effort caused by confusion and bickering between police agencies and a thwarted rescue attempt by nearby US military personnel that was halted by Japanese officials. In the end, four out of the 524 people on board survived, but many others died while waiting to be rescued. Ten years later, a 6.8-magnitude earthquake struck the southern part of the western prefecture of Hyōgo, devastating the port city of Kobe. Here again, poor crisis planning and communications appear to have cost lives. The then socialist-led government of Prime Minister Tomiichi Murayama was excoriated by the Japanese public for its confused and disorganized response, for poorly managing local volunteer efforts and for initially refusing help from foreign countries. In the same year, a sarin gas attack on the Tokyo subway system by the Aum Shinrikyo doomsday cult was also marred by poor communication between city authorities, police and emergency services. Many local hospitals only received information on diagnosis and treatment after one professor of medicine saw the reports on TV and phoned in. Fast forward to March 2011 and the picture looks quite different – at least in part. As far as the actual natural disaster was concerned, communications was handled beautifully. 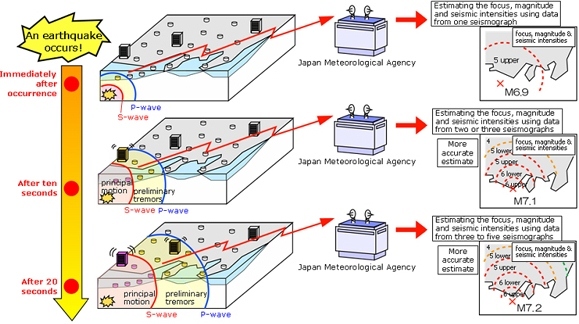 Firstly, Japan’s new earthquake and tsunami warning system, which prior to March 11, 2011 had never been truly put to the test, worked perfectly, automatically issuing alerts via television and cell phones shortly after the first, less harmful, shock wave was detected, providing time for many people to make preparations for the more powerful shock wave that followed – and probably saving a great many lives. In the case of the 3.11 disaster, the Japanese government under Prime Minister Naoto Kan responded with unprecedented swiftness. He also urged the Japanese public to act calmly and tune into various media for updated information. The Prime Minister also wasted no time setting up a crisis communications control centre in his office to coordinate the government's response and, in stark contrast to the Kobe disaster, sent out immediate requests for assistance to emergency response teams in Australia, New Zealand, South Korea, Germany, the United Kingdom and the United States. The Japanese government also made the inspired decision of appointing then-Chief Cabinet Secretary (now Minister of Economy, Trade and Industry) Yukio Edano as the government’s chief spokesperson. A blunt, plainspoken northerner (a Tochigi native and a Tohoku University graduate) with a knack for social media communication, Edano put forth a phenomenal performance as crisis communicator that made the stocky politician in the blue one-piece emergency suit one of the disaster’s most enduring symbols. For at least a week, Edano was either fielding television interviews or tweeting up-to-the-minute information from tsunami-ravaged areas. A week into the aftermath, the man’s increasingly haggard appearance and faltering on-air commentary led to the popularization of the Twitter hashtag #edano_nero (literally “Edano, get some sleep!”). While the Japanese government still faced questions over the speed of its response to the mounting humanitarian crisis (including from Minister Edano himself), the government’s communications performance, both internally and externally, was an unprecedented success. The government’s embrace of overseas help was a major coup for the government. Its close collaboration with the US military through Operation Tomodachi (‘Friend’) was commended by the Yomiuri Shimbun as solidifying the Japan-US military alliance, while the Japanese government’s request for help from South Korea resulted in an outpouring of donations and goodwill from a country with a long history of animosity towards Japan. The Japanese government’s response to Tohoku Earthquake and Tsunami, both during and after the disaster, clearly demonstrated that substantial progress had been made in Japan in terms of crisis communications planning in the decade leading up to the disaster. However, as the aftermath of the Fukushima meltdown, clearly shows, this progress was not evenly spread and that among certain institutions at least, the old modus operandi is still very much alive and kicking. In the year following 3.11, the Tokyo Electric Power Co. (TEPCO), the utility responsible for the crippled Fukushima Daiichi nuclear power plant, has become one of the country’s most despised institutions. While cold shutdown of the plant was achieved in mid-December 2011 and work is now underway at decommissioning the plant, the reputation management fallout for Japan’s largest power company is anything but contained. The first anniversary of the 3.11 disaster saw large-scale protests outside TEPCO’s Tokyo headquarters, while TEPCO shareholders have filed a $67 billion lawsuit against the company's executives in the biggest claim in Japanese history. The Japanese public’s mistrust of TEPCO and of the country’s nuclear energy industry as a whole long predated the Fukushima disaster. In 2002, the government found the utility guilty of false reporting in routine governmental inspection of its nuclear plants and systematic concealment of plant safety incidents. Five years later, the company announced to the public that an internal investigation had revealed a large number of unreported incidents at its plants. All this had followed a 1999 incident involving a major uranium leak at JCO’s Tokaimura nuclear fuel-processing in northern Ibaraki Prefecture, which resulted in the deaths of two workers and the evacuation of 161 nearby residents. In this case, poor internal communication and inadequate training were identified as the cause, while slow external communication shook public confidence in the industry. 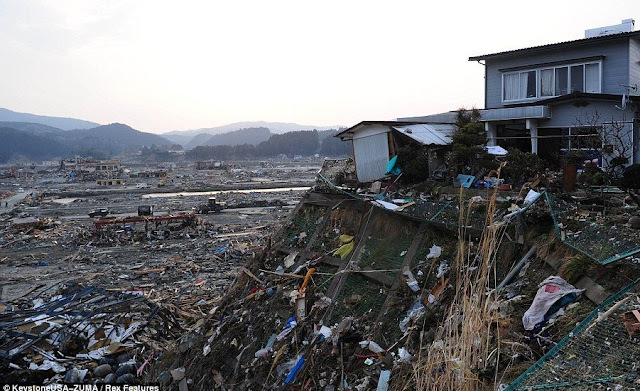 At 2:46 pm on March 11, 2011, a 9.0 magnitude offshore earthquake generated a 40-meter tsunami that crippled the Fukushima Daiichi complex, leading to a massive release of radiation and the meltdown of three reactor cores. From the very beginning, it was evident that the plant’s owners were in complete disarray, with little idea of exactly what was going on or how to communicate it. With no communications plan in place, TEPCO responded reactively with numbers devoid of context and opaque engineering terminology, which merely exacerbated public confusion and anxiety. Moreover, whereas social media was beneficial in communicating tsunami-related information, in the case of the nuclear accident the flurry of tweets and retweets that followed the utility’s latest announcements amounted to a nationwide game of ‘telephone’, further fanning the flames of confusion. As Tokyo-based media consultant Gil Chavez explains in his article in the Nov-Dec issue of Communication World, explaining radiation levels in terminology understandable to the general public is a tricky undertaking at the best of times. The standard measurement of radiation, the Sievert (Sv), was unfamiliar to most people both within and outside Japan prior to the accident. This and similar terms such as millisievert and microsievert suddenly began flooding the country’s news media. Add to this the extent of the public panic generated by the twin disasters and it’s hardly surprising that TEPCO’s attempts at reactive crisis communications were a near-total disaster. Even the utility’s attempt at using Twitter to alleviate the situation resulted in backlash, as it was perceived firstly as too little, too late and secondly as a cheap effort by TEPCO to improve its image in the midst of the disaster. The PR fallout from the Fukushima meltdown ultimately spread to the government of Japan after its reserve of public goodwill stemming from its effective handling of the tsunami aftermath had been upended by its apparent inability to bring the nuclear disaster under control and to take TEPCO to task for its mishandling of the situation. Prime Minister Kan’s personal popularity took a pounding until, facing the prospect of a cabinet rebellion, he announced his resignation in August 2011. Recent revelations show that Kan’s brinkmanship may have prevented an even larger calamity. 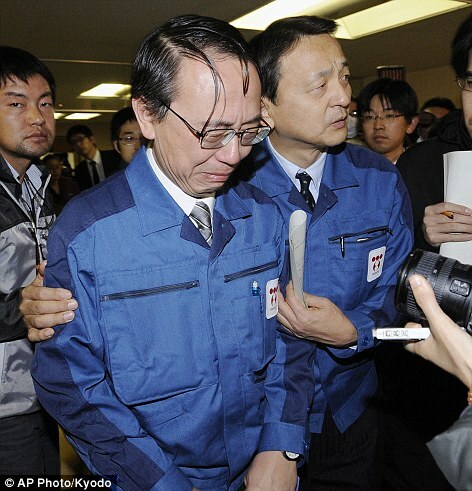 A government report quotes Edano as having warned the prime minister of a “demonic chain reaction” of plant meltdowns could require the complete evacuation of Tokyo at a time when TEPCO officials wanted to pull its emergency workers from the plant. His unrelenting pressure on TEPCO may have saved Japan. The Fukushima debacle clearly illustrates the need for a well-developed crisis communications plan, particularly for an industry that is both fiendishly complex and fraught with fear and anxiety – especially in sole country on earth to have been subjected to a nuclear attack. The Fukushima Daiichi accident had all the hallmarks of a smoldering crisis, namely the age of the plant (It was built in 1971 and had just had its operational lifespan extended by ten years), the regularity with which large tsunamis have struck the area (in 1793, 1856, 1896, 1933 and 2011) and TEPCO’s own patchy safety record. While the magnitude of the earthquake in question was unprecedented in Japanese historical records, similarly powerful megathrust earthquakes have occurred elsewhere on earth, most recently off the coast of Sumatra, Indonesia, in December 2004, triggering the deadly Indian Ocean Tsunami that devastated coastlines as far away as Somalia. The triple disaster that befell Japan on March 11, 2011 put every aspect of the country's infrastructure, institutions and human capital to the test, and results are a lesson to the world. In communications terms, while the Fukushima disaster stands as a cautionary tale of what happens when you fly without a communications plan, the other story was that of a major breakthrough in crisis communications in a country with a long history of poor disaster communication. If nothing else, this disaster shows that governments, regardless of culture and historical precedent, can indeed learn from past mistakes and that, in Japan’s case, the government clearly had learned its lessons from previous crises. As catastrophic as the the events of 3.11 were, they could easily have been far worse, and indeed much smaller earthquakes have resulted in far greater loss of life. One of the most enduring lessons of this disaster is that in a time of crisis, people, regardless of their cultural mores and social grammar, want a swift response and clear, concise, up-to-the-minute information. And in the case of the natural disaster itself, that is – for the most part – what people got. It could have been better, but given the enormous obscacles that officials and rescuers faced, their performance was on the whole commendable. As for the nuclear disaster, even this could have been far worse than it was (and was feared at the time) and was one at least hopes that it will result in systematic overhauls to how communications is handled within this industry. In the meantime, our thoughts and prayers are with the people of Japan, especially those mourning the loss of loves ones and those still awaiting return to destroyed coastal hometowns in the northeastern prefectures of Iwate, Miyagi and Fukushima, on the anniversary of the worst calamity in the country’s postwar history. Interesting post, Ben - I'm copying and pasting here off my FB reply to it - hope that's okay. I think the change of guard from the Jiminto to the Minshuto made a crucial difference that led to what the earthquake response made possible, and Kan, who had wanted to be prime minister for so long, took to heart what he believed was the responsibility that came with it (so ignored by a host of Jiminto PMs) to rise to what the occasion called for and called TEPCO onto the carpet. But the media was what ultimately hounded him out of office - the Yomiuri may have praised the US-Japanese cooperation on it but didn't like their corporate buddies in the utilities field getting pounded for it, especially when Kan made it clear that he was going to hold their nuts to the fire over it. I think this really will go down in history as a watershed period for Japan but it's still way too early to tell what that's going to look like.